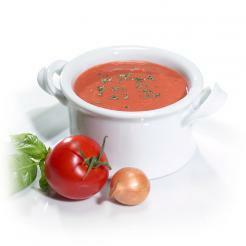 Discover the warm, satisfying taste of our delicious High Protein Low Fat Soups. With a variety of classic flavors to choose from, these soups make for a rich and savory meal for patients on full liquid diets. These versatile products contain slow digesting proteins to deliver long lasting hunger, all under 110 calories and 7 carbs or less. Our delicious and flavorful soup mixes contain 15 grams of protein and only 160 calories per serving, with added fiber and 25% of the Daily Values (DV) of all vitamins and minerals. 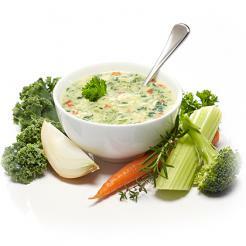 In addition, these soups can be easily integrated into a full fast diet. 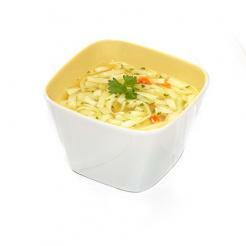 Simply heat in the microwave and savor a delicious, nutritionally complete meal replacement in less than ten minutes. 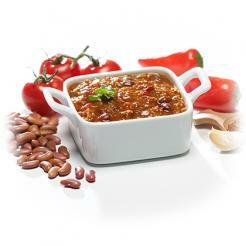 PROtherapies Quick Fix hot meal entrees are a veggie delight! These high fiber, textured soy protein products satisfy solid food urges while providing a hearty, low fat lunch or dinner entree. Simply add hot water and microwave for a rich, flavorful meal chalked full of 12 grams of protein and only 130 calories per serving. Savor PROtherapies wide assortment of delicious flavor packs with our Low Carb Hot Base Mix. High in protein and low in net carbs and calories, our versatile Hot Base Mix can also be blended with any hot item or recipe of your patient’s choice. Our all natural gluten free flavor packs are soy free and rich in MCT oil. Not to mention, one full serving of real vegetables, which aids in digestion and keeps your gut happy. 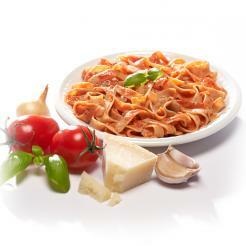 PROtherapies Low Carb High Protein Pasta is gluten free, high in protein, low in net carbs, and contains no sugar. 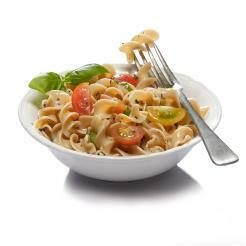 Our rich and creamy pasta can also be used with our diverse range of versatile Pasta Flavor/Sauce Packs (see more information below) or with fresh ingredients to make an endless variety of tasty and nutritious pasta dishes. 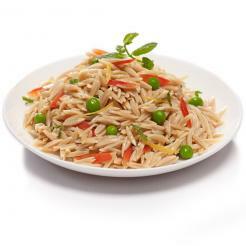 PROtherapies Low Carb High Protein Orzo Pasta is high in protein, low in net carbs, and contains no sugar. Our rich and creamy pasta can also be used with our diverse range of versatile Pasta Flavor/Sauce Packs or with fresh ingredients to make an endless variety of tasty and nutritious pasta dishes in less than ten minutes!